I get up at 3:30, most mornings - a habit that I can't break. My hubby would go to work at 4:15, so I would get up before he did - to make his coffee, get his breakfast/lunch together and kiss him goodbye. Then, I would study for school while the boys were still asleep. Now, he is retired - living in another state, boys are grown up and I still teach. My time for a cup of coffee, time to do school work or just be creative. I gave up coffee for three months and morning just weren't the same. So I am back to drinking a cup each morning when the house is quiet. 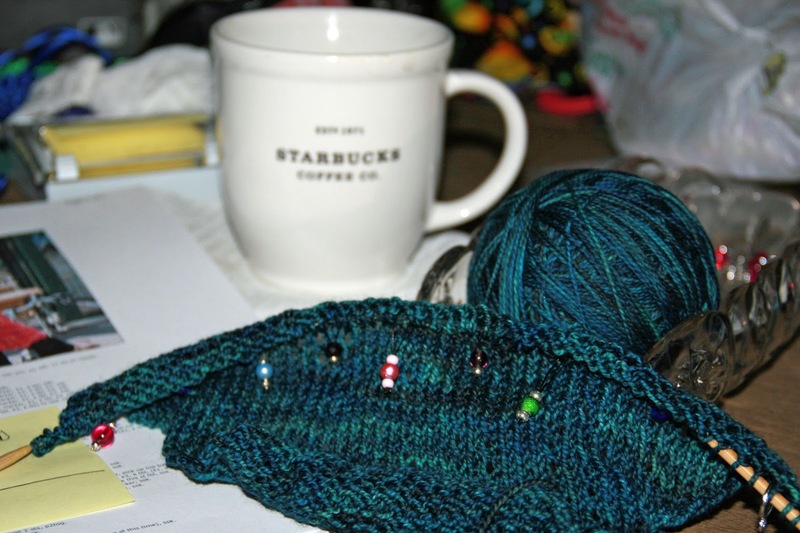 Sometimes, working on a new scarf in a yummy color.